For many homeowners a bedroom space should convey a warm and inviting ambience, ideal for soothing the senses after a hard day’s work. Soft lighting, a decadent king sized bed and walls painted in a calming tones of blue, white or green can all help to invoke the spirit of relaxation in your bedroom, making it an area you’ll be happy to retreat to time and time again. When it comes to bedroom flooring, combining comfort and style with functionality is key. While wooden or laminate flooring can provide a practical and durable option for your bedroom flooring, bedroom carpets can add touch of luxury to your bedroom space. Here are just some of the reasons why carpets are the ideal choice for your bedroom. Whether you want a carpet that is smooth underfoot or adds a little more texture, such as carpets with rattan carpets, there are a wide variety of options to choose from. As carpets also come in a large selection of colours and patterns, there will always be a carpet on offer to suit your design needs from contemporary chic to the retro look. Getting a good night’s rest is all but impossible if the sound from your house is reverberating through your bedroom and a thick carpet can help to insulate your room from outside noise. A carpet can also help to keep warmth in your bedroom, improving energy efficiency and helping you to keep warm and toasty as you get a good night’s rest or simply unwind in your bedroom space. Carpets can help to add a touch of finesse to your bedroom floor, helping to disguise any floors that are warped or uneven, as well as helping to create continuity with other rooms if your choice of bedroom carpet is extended into other areas. An intricately decorated and luxuriant carpet in your bedroom space can act as a statement piece in your bedroom. 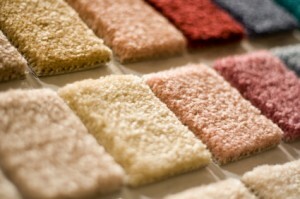 Choosing a carpet in a bold colour or print, from fuscia pink to paisley can create a stylish focal point in your room. Opting for a carpet in a different shade to your bedroom wall colours can also help to add contrast and depth to your room. 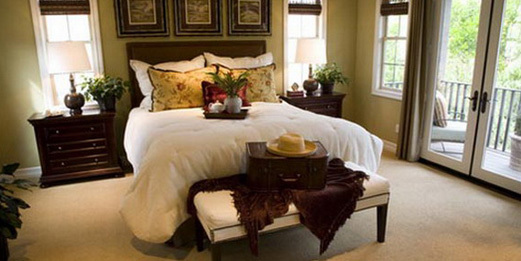 Your carpet can also reflect the materials already used in your bedroom. As an example if wool features heavily in your choice of bedding you may also want to choose a carpet that uses the same material, such as a berber carpet made from 100% British wool. Categories: Bedrooms, Home & Garden, Home Improvement.